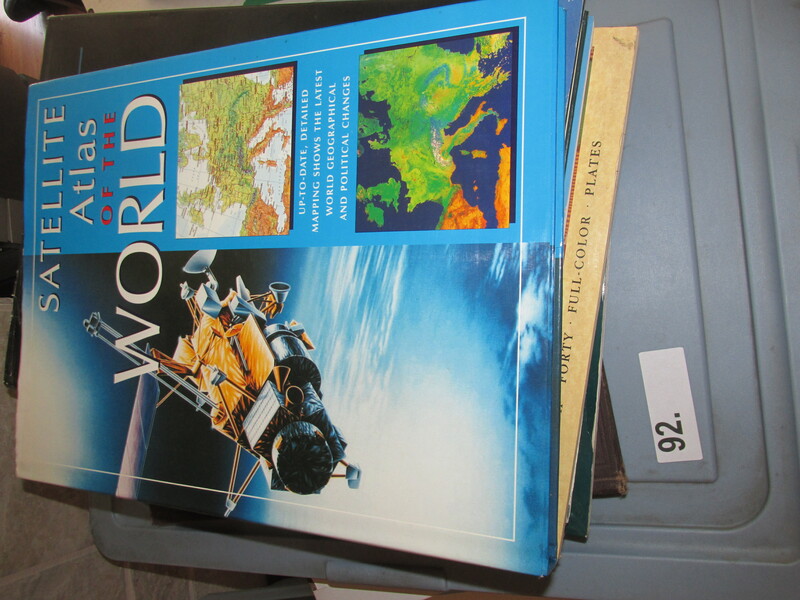 (Box 92) Satellite Atlas of the World. 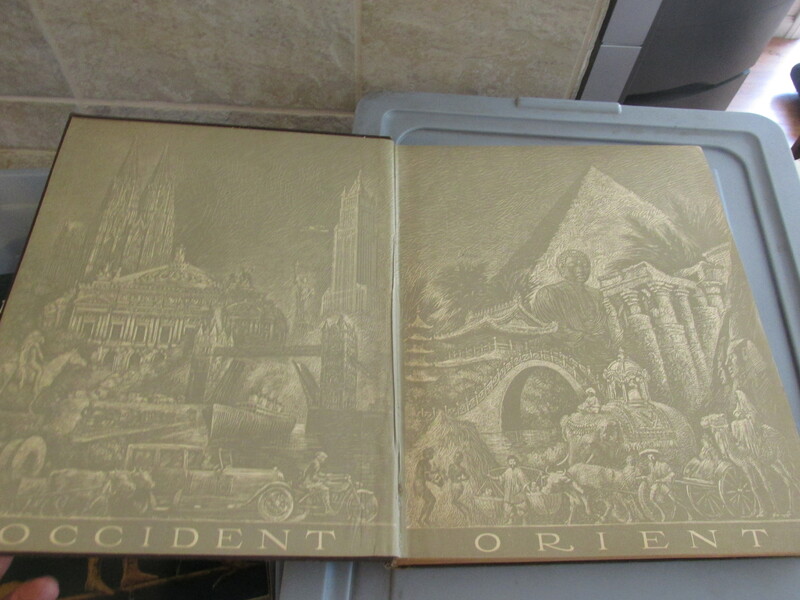 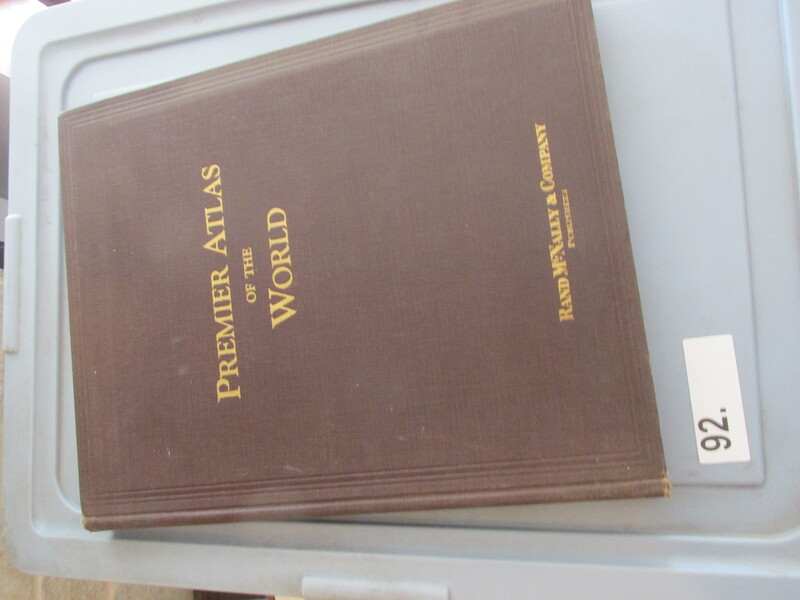 (Box 92) Reader's Digest Atlas of the World. 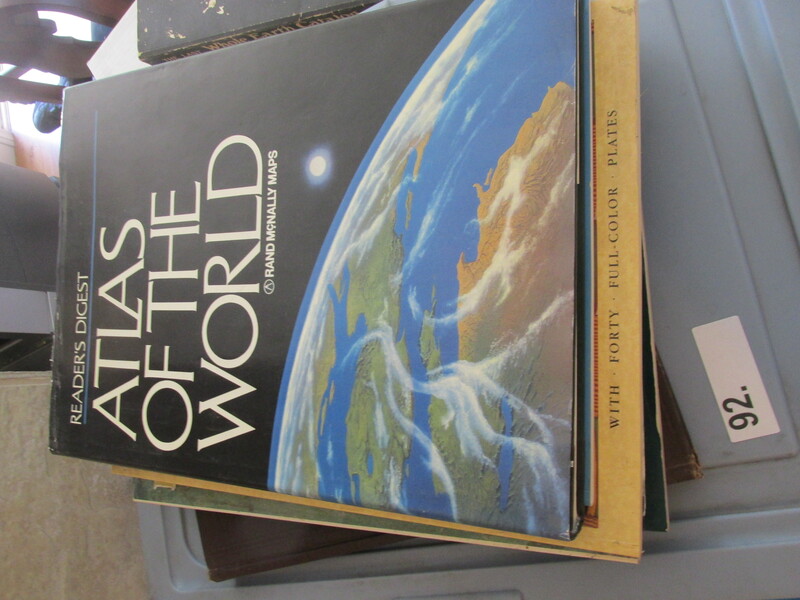 Rand McNally Maps. 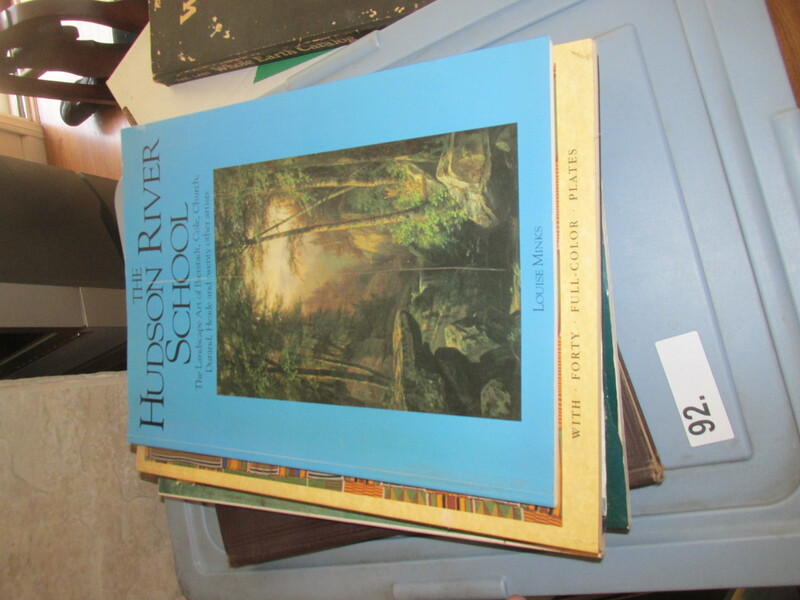 (Box 92) The Hudson River School: The Landscape Art of Berstadt, Cole, Church, Durand, Heade and twenty other artists, by Louise Minks. 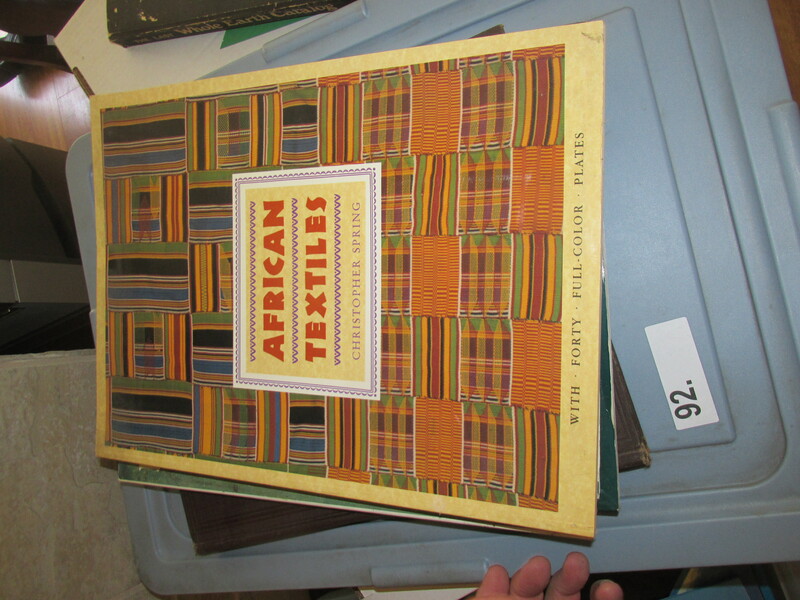 (Box 92) African Textiles, by Christopher Spring, with forty full-color plates. 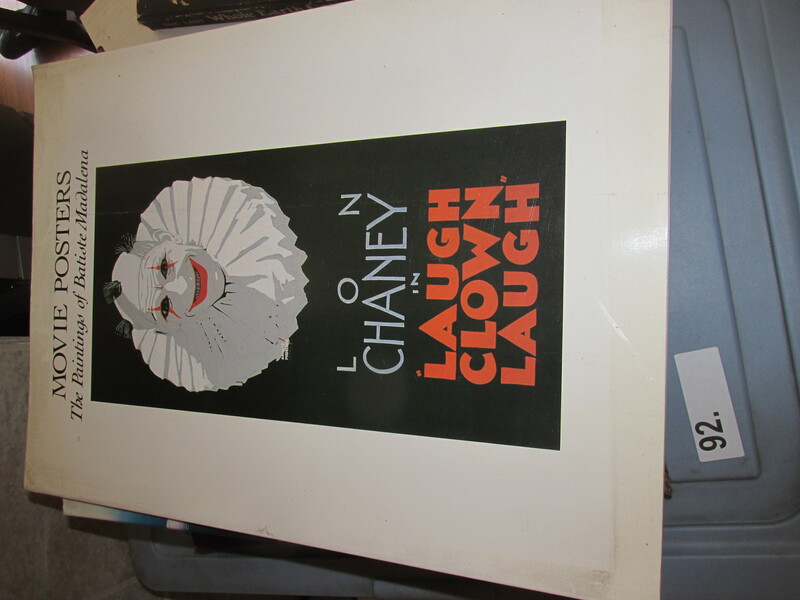 9802-01 high-res image, 9802-02 high-res image, 9802-03 high-res image. 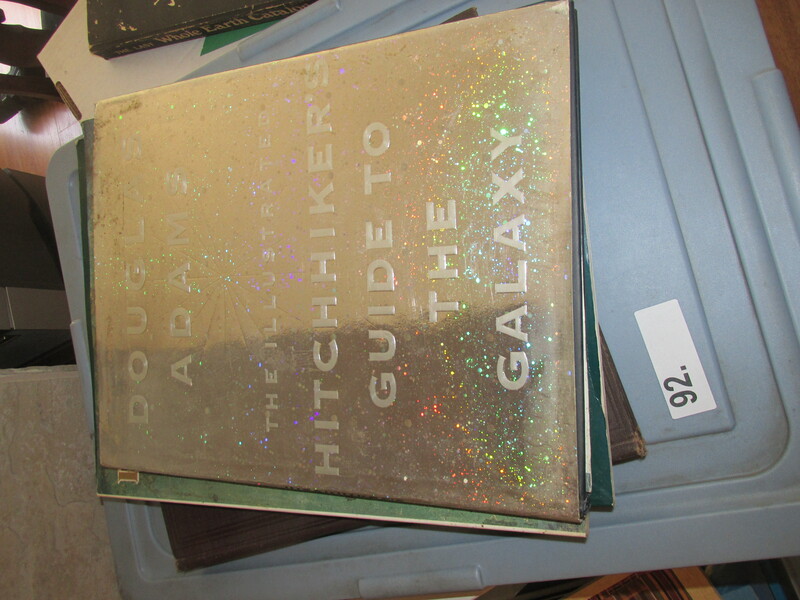 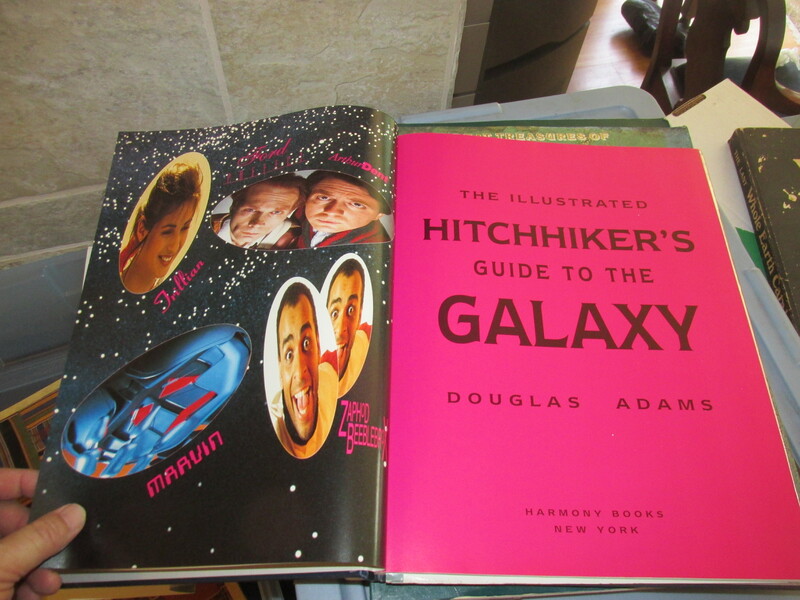 (Box 92) The Illustrated Hitchhiker's Guide to the Galaxy, by Douglas Adams, Harmony Books. 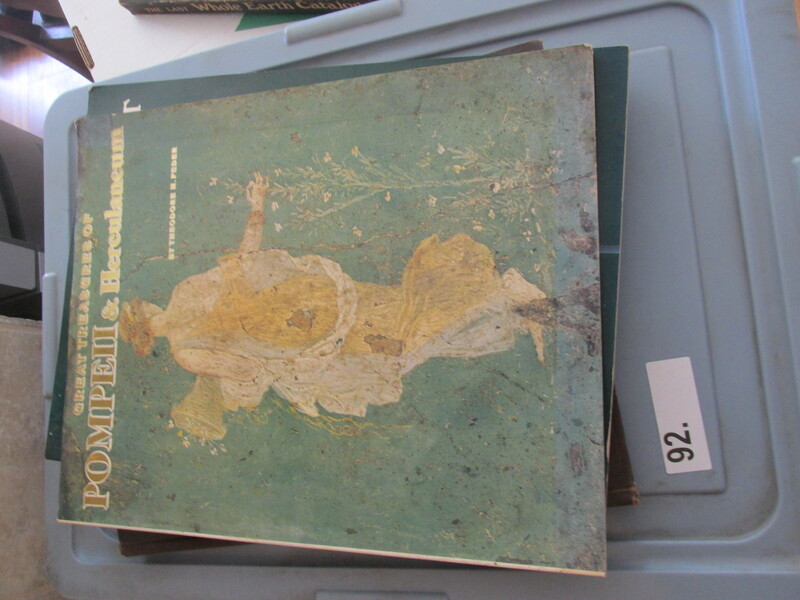 (Box 92) Great Treasurers of Pompeii & Herculaneum, by Theodore M. Feder. 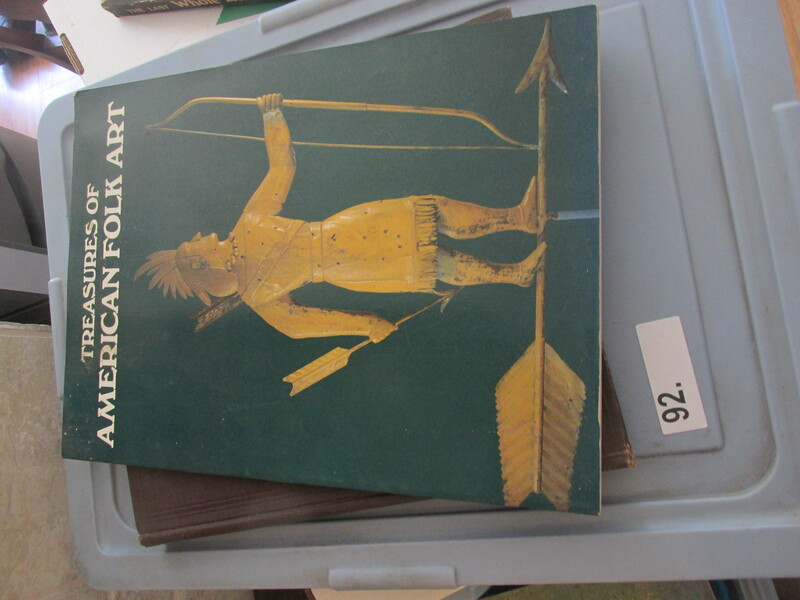 (Box 92) Treasures of American Folk Art. 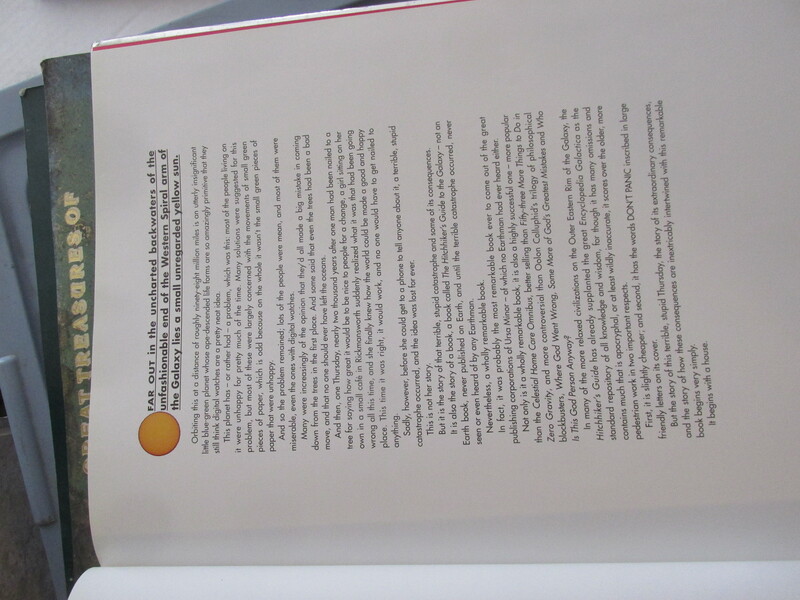 9802-06 high-res image, 9802-07 high-res image, 9802-08 high-res image. 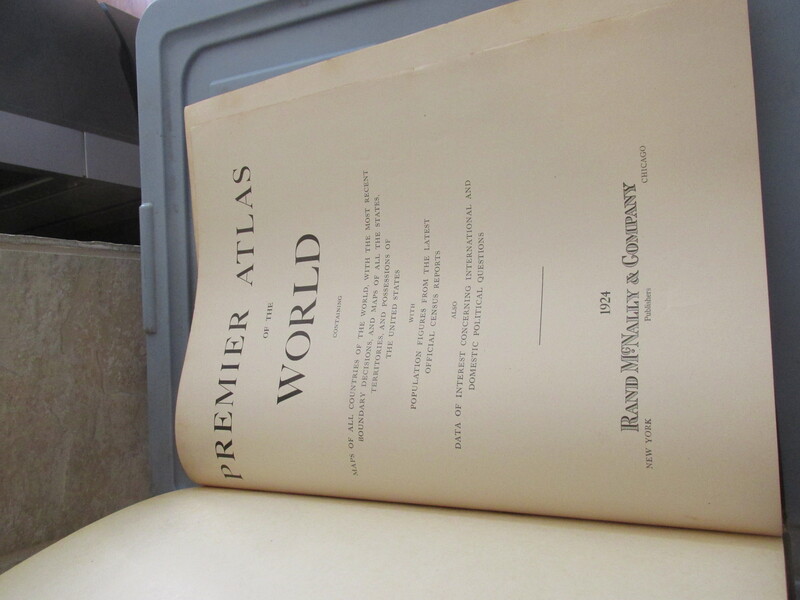 (Box 92) Premier Atlas of the World by Rand McNally Company, 1924.